“The trouble with dieting,” I hear many women say, “is that it takes too long. If I want to look good for my anniversary next month, I should’ve started losing weight way back in February. Now that I’m finally focused, it’s too late.” Well, yes and no. Taking the long-term approach to weight loss is wise because it means you’ll lose pounds slowly and steadily — making it more likely that you’ll keep them off. But there are ways to rev up your metabolism so you burn calories and lose weight more quickly. Check out my favorite no-fail jump starts. 1. Drink green tea. Get this: When a recent study compared the metabolic effect of green tea (in extract) with that of a placebo, researchers found that the green-tea drinkers burned about 70 additional calories in a 24-hour period. If you can believe it, those 70 calories a day add up to a total of 7.3 pounds of fat a year! 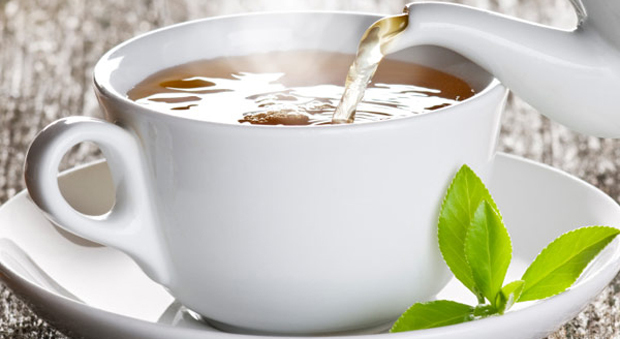 It’s not magic, it’s science: Researchers believe the difference is caused by metabolism-enhancing antioxidants known as catechins, which are found in green tea. 3. Buy a set of five-pound weights. It’s a onetime investment you’ll never regret. Here’s why: Strength training builds lean muscle tissue, which burns more calories — at work or at rest — 24 hours a day, seven days a week. The more lean muscle you have, the faster you’ll slim down. How do you start strength training? Try some push-ups or a few squats or lunges. Use your free weights to perform simple biceps curls or triceps pulls right in your home or office. Do these exercises three to four times per week, and you’ll soon see a rapid improvement in your physique. 4. Lose the salt. Sodium contributes to water retention, making you look and feel bloated. Do you eat too much salt? Probably — the daily value suggests no more than 2,400 milligrams of sodium each day (or about one teaspoon), but most of us are getting more than twice that amount. So keep an eye on your sodium intake, and that doesn’t just mean ditching the saltshaker. Hidden sources include soups, canned foods and drinks (did you know a serving of regular V8 juice has 800 mg of sodium? ), salty snacks such as chips and pretzels and many prepackaged foods. 5. Spice it up. Angelo Tremblay, Ph.D., director of the division of kinesiology at Laval University, in Canada, found that eating hot peppers can boost a person’s basal metabolism (the total calories the body burns at rest). The reason? Capsaicin, a compound found in jalapeno and cayenne peppers, may increase your body’s release of stress hormones such as adrenaline, which can speed up your metabolism and your ability to burn calories. What’s more, eating hot peppers may reduce your appetite, Tremblay says, helping to curb your cravings. So spice up your stir-fried veggies, eat low-calorie chili or salsa (try them on salads and baked potatoes), and watch the pounds come off faster. 6. Get some sleep. As funny as it sounds, sleep deprivation may make you fat — and not just because you’re susceptible to cases of the late-night munchies (although there’s that too). Women who get less than four hours of sleep per night have a slower metabolism than those who snooze for a full eight hours, according to researchers at the University of Chicago. So don’t skimp on your zzz’s, and you’ll be rewarded with an extra edge when it comes to shedding pounds quickly. 7. Go for an evening walk. Don’t get me wrong — exercising at any time is good for you. But evening activity may be particularly beneficial because many people’s metabolism slows down toward the end of the day. Thirty minutes of aerobic activity before dinner increases your metabolic rate and may keep it elevated for another two or three hours, even after you’ve stopped moving. What that means for you: Those dinner calories have less of a chance to take up permanent residence on your hips. 8. Eat every meal. Listen up: Skipping meals will not make you lose weight faster. That strategy backfires because your body thinks food is in short supply, so it slows your metabolism in order to conserve energy. Over time, the result is that when you do eat — even if you consume the same foods as always — your body will be slower to use the calories as fuel, thus creating a backlog of unwanted pounds. If a hectic day makes a sit-down meal impossible, stash an energy bar or a piece of fruit in your purse or briefcase — anything that will keep you from going hungry. 9. Add 20 minutes of exercise per day. If you’re on a diet, you’re probably already working out a couple of times a week. (No? Well, you should start!) But whether you exercise or not, you can get a leg up on all those other weight-loss wannabes by doing a little something extra each day. Take the stairs instead of the elevator; walk to the bus, train, or all the way to the office; window-shop with your best friend rather than sit over coffee. Taking the dog out, gardening and even housecleaning all increase the number of calories you expend. You don’t have to go for a jog (although that would help!) to speed up weight loss. Twenty minutes of moderate exercise a day means you’ll burn approximately 700 calories. 10. H20, H20, H20. You’ve heard it before, and you’ll hear it again. That’s because drinking 64 ounces of water daily is one of the easiest ways to speed up weight loss. Your body needs water in order to efficiently metabolize stored fat. When you shortchange your supply, you’re likely to slow down that process, meaning it’s more difficult for you to burn calories. An easy eight glasses a day (at least!) will keep your system running smoothly. 11. Don’t go for the gimmicks. At any given time, there are dozens of weight-loss hypes in the marketplace that claim to have the ability to take off 10 pounds in 10 days, or whatever. Desperation can tempt us to try anything, but you and I both know these schemes don’t work. Save your money, but more importantly, save yourself from the emotional pain when these gimmicks fail. Be realistic. Jump-start your weight-loss program in ways that make sense, and not only will you be thinner, you’ll be happier too.